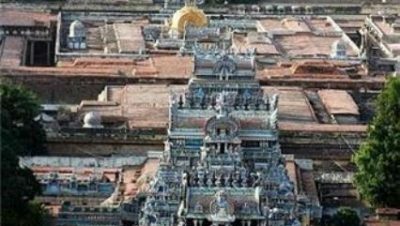 Srirangam is the foremost of the eight self-manifested shrines (Swayam Vyakata Kshetras ) of Lord Vishnu. Sri Renganatha Swamy temple, established in a 156 acre land, is a great vaishnavite temple dedicated to Lord Vishnu. It is also considered the first, foremost and the most important of the 108 main Vishnu temples. This temple is also known as Thiruvaranga Tirupati, Periyakoil, Bhoologa Vaikundam and Bhogamandabam. The enclosures are guarded by thick and huge rampart walls. There are 21 magnificent and huge towers. This temple lies on an islet formed by the twin rivers Cauvery and Coleroon. 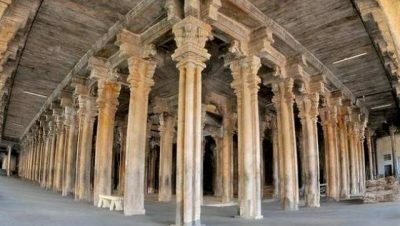 This temple underwent many changes during the rule of Cholas, Cheras, Pandiyas, Hoysalas, Vijayanagar kings and Nayak of Madurai. The temple is located 12 kms From Central Bus Stand and 5 kms from Chathiram Bus Stand. Trichy. 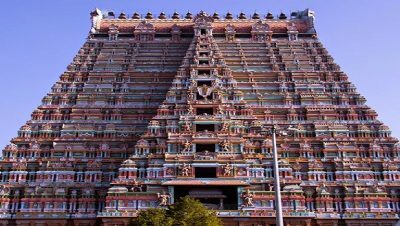 Government and private bus services is available to reach Srirangam.